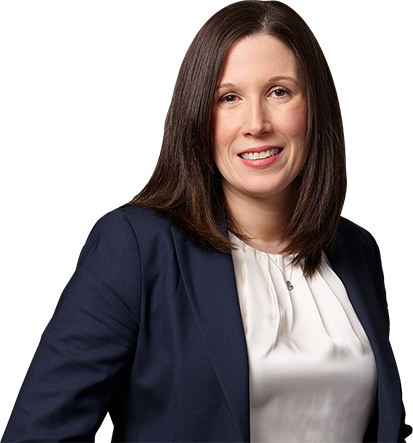 Stephanie M. Alberts is a partner in the Firm’s Tax, Trusts, and Estates program group. She concentrates her practice in estate administration, estate planning, estate litigation, guardianships, and civil and criminal tax matters. Ms. Alberts represents individuals in various proceedings in the Surrogate’s Court, including probate and administration, contested probate, judicial accountings, guardianships, and miscellaneous proceedings. Her work includes the preparation of probate documentation, conducting legal research, drafting estate litigation documents, and preparing estate tax returns. Ms. Alberts also has experience in representing clients in guardianship hearings in both the Surrogate’s Court and Supreme Court. Ms. Alberts’ article, “Substituted Judgment: Looking Out for an Elderly Person Who Becomes Incapacitated,” was published in the New York Law Journal. She is a New York SuperLawyer Rising Star and the recipient of Long Island Business News’ Leadership in Law award (2016).